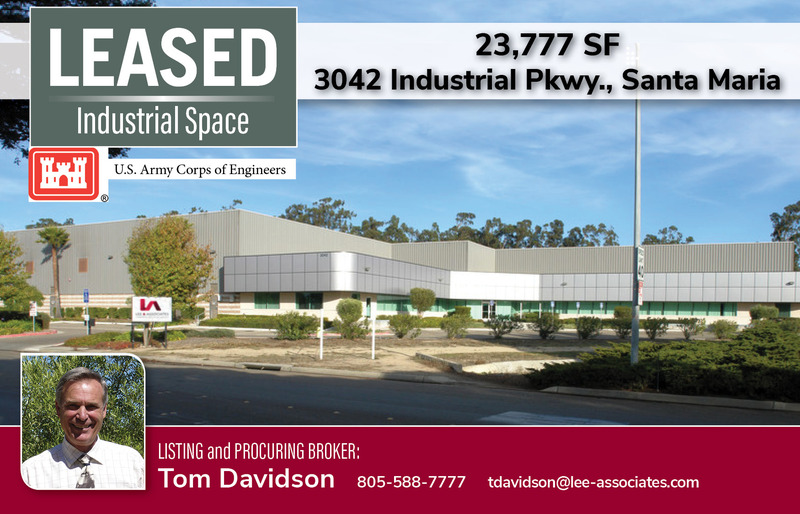 Santa Maria, Calif.—July 10, 2018—Lee & Associates has completed the lease of the 23,777 square-foot state of the art Industrial Building located at 3042 Industrial Parkway in Santa Maria. Tom Davidson with the Los Olivos office represented the Landlord and the Tenant, United States Army Corps of Engineers. This commercial building has an excellent loading and 24’ clearance height, includes dock-high and ground level loading.